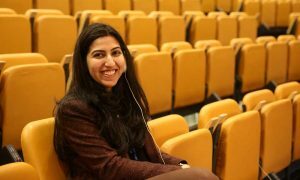 Poorvi Sanjanwala graduated in law with a gold medal from the Mumbai University in the year 2003 and went on to complete her Masters in Commerce from the same University. 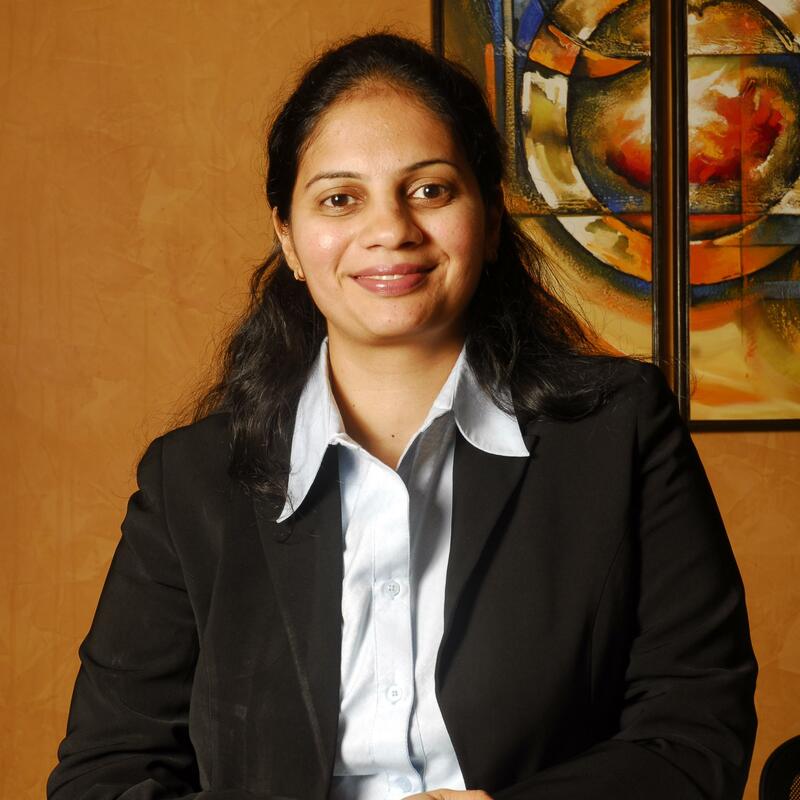 She is currently a partner at Rajani Associates and handles the Private Equity and Merger & Acquistion practice (the acquisitions side) in the Firm. I am Poorvi Sanjanwala and am a partner at Rajani Associates, a Mumbai based law-firm. I handle the Private Equity and Merger and Acquistion practice (the acquisitions side) in our Firm. WHAT INSPIRED YOU TO JOIN THE PROFESSION OF LAW? IF NOT LAW THEN WHAT WOULD HAVE BEEN YOUR CAREER INTEREST? I have always been interested in all things legal even when I was in college, I recollect deliberating a bit more upon newspaper articles which reported commercial judgements or interesting case-laws. Added to that is the fact that I am very fond of drafting, so law had to be an obvious option. If it were not law, I would have probably pursued an MBA. Internships I believe are extremely important not only from a knowledge-building perspective but from a specialisation identification perspective. Internships enable a student to obtain a more in-depth knowledge of various laws particularly from a practical perspective. Internships also go a long way in honing analytical skills further and enable students to come up-to-speed on laws and judgements as part of research or assignments they may be involved in, in the course of their internship. Internships do, I believe, also help students in identifying with more clarity the area of specialisation they wish to pursue and also prepare them more effectively from a practical standpoint, for life as a lawyer once they graduate. And yes, internships are at many times, a very good platform for talent to come to fore and be recognised as well. Unfortunately I did not intern during my university days so as such there is no specific experience I would be able to share with the readers in this regard. WHAT ARE THE OPPORTUNITIES THAT THE PRACTICE HAS TO OFFER? WHAT ARE THE ESSENTIAL REQUIREMENTS TO BE A GOOD CORPORATE LAWYER? Our Firm is a full service Law Firm with the corporate law practice areas being the pivots. Our practice areas include PE, M&A, Capital Markets (International and Domestic), Projects and Project Finance, Dispute Resolution, Intellectual Property, Real Estate, Banking and Finance and ofcourse General Corporate and Commercial. 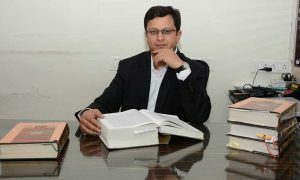 The essential requirements to be a good corporate lawyer, would be, first ofcourse be interest in the corporate laws domain as a whole, followed by good drafting skills, since any transaction/assignment in any these practice areas do involve significant documentation and where more often than not, no two documents are alike and entail customisation which is transaction specific. Coupled with drafting are negotiation skills, since again transactional documentation almost always involves counter-parties and where finalisation of such documents involves negotiations and lastly, good inter-personal skills and team spirit. HOW WOULD YOU COMPARE INDEPENDENT PRACTICE TO JOINING A LAW FIRM? Having worked with law firms since I qualified, I don’t think I would be in a position to throw much light on this. Having said this, starting off- independently is at the other end of the spectrum from working in a firm. There are various factors which culminate into a decision for any person to start off on their own and pose its own set of challenges. CAN YOU TELL US ABOUT YOUR EXPERIENCE AT THE FIRM AND WHAT MOTIVATED YOU TO JOIN RAJANI ASSOCIATES? The experience has been very enriching. Rajani Associates is the place where I have gained and continue to gain my knowledge of corporate laws and my transactional experience in the PE and M&A spaces. I have also been fortunate to have had very good seniors, particularly Mr. Prem Rajani, the Firm’s Managing Partner, who have also been very encouraging and have had the patience to discuss transactional aspects as a transaction progresses (and not just a post completion analysis or review). As a Firm, apart from the emphasis on close attention to detail and effective client interaction, Rajani Associates gives its lawyers the platform to demonstrate their skills in the areas of their practice, believes in placing an equal importance on learning as you work and where every member of the team is encouraged to contribute effectively to transaction closure and given an opportunity to actively participate in transactions. 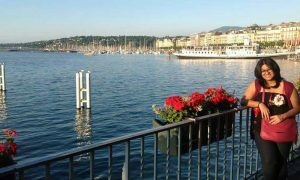 Coupled with this, is a good working environment and you have all the ingredients of a great working place and enormous opportunities for career growth. YOU HANDLE VARIOUS ASSIGNMENTS WITH RESPECT TO THE MERGERS & ACQUISITIONS. WHAT ARE THE BIGGEST HURDLES AND CHALLENGES IN THE IN THIS AREA OF PRACTICE? I would not say that there are hurdles in either the PE or the M&A space. Yes transactions are challenging and at times demanding but which transaction is not? It is the challenges which make each transaction a unique learning curve and also enrich your knowledge and experience in the process. I would say that every transaction I have handled or been part of in the past, has had some or at times a myriad of unique aspects to it, be it the nature of the transaction or its structure or the negotiations that it may have entailed. All transactions and the experiences have been and will continue to be a wonderful learning process for me. RAJANI ASSOCIATES HAS CONSISTENTLY BEEN RANKED AT THE TOP IN DEALING WITH ASIA-PACIFIC M&A. WHAT IS AN AVERAGE DAY AT WORK LIKE FOR YOU? An average work day would mean discussing with the team on on-going transactions, taking a round-up on changes that may have been effected to any law and its potential implications and ofcourse working with the team to meet deadlines of any on-going transaction. THE GOVERNMENT HAS BEGUN DISCUSSIONS TO PERMIT THE ENTRY OF FOREIGN LAW FIRMS AND LAWYERS INTO INDIA. IN YOUR OPINION, HOW WILL THIS AFFECT THE PROFESSION? How the actual entry of the foreign law firms will pan out, will ultimately depend on the fine print of the rules which will regulate their entry and operations into the Indian legal practice arena. As such it would be pre-mature to comment in detail at this juncture. Needless however it would be to state that the advent of foreign law firms will be a game-changer of sorts once all decks are cleared for their entry. THERE IS ONGOING CAMPAIGN FOR “MAKE IN INDIA”, “START-UP INDIA” AND “SKILL INDIA”. IS OUR LEGAL SYSTEM MATURE ENOUGH FOR SUCH DEVELOPMENTS OR IS THERE A NEED FOR REFORM? I believe the legal system is mature enough. This initiative of the Government is an important and welcome step in providing an impetus to growth and development of the country as a whole by nurturing skills and ideas to translate them into opportunities for businesses thereby generating employment and bringing self-reliance in sectors which were earlier import dependant or at the nascent stages of development. At the same time it also seeks to encourage multi-nationals and other global level players to set shop in India thereby also enabling the Country to not only benefit from investment and capital but also in opening up new opportunities for new/enhanced skill sets, technologies, employment opportunities and other ancillary benefits thereby propelling the growth story further. Keeping this objective in mind, the Government has introduced several measures for the ease of entrepreneurs to start and operate their businesses, initiated consequential changes in legislation, introduced reforms, including the liberalisation of receipt of foreign direct investment in various sectors which will go a long way in making the “Make in India” concept a winner all the way in achieving its intended objectives. THE GOVERNMENT HAS BROUGHT INTO FORCE THE COMPANIES (MEDIATION AND CONCILIATION) RULES 2016 TO GIVE EFFECT TO SECTION 442 OF THE COMPANIES ACT. HOW WILL THIS AFFECT THE CORPORATE SECTOR? As the Companies (Mediation and Conciliation) Rules, 2016 are a very recent introduction that is, the notification in this regard has been issued in September 2016 only, its impact and its success as also the ability of this mechanism to reduce the burden on the judiciary will have to be reviewed as the extent to which parties to a dispute will take recourse to it for the purposes of resolution of their disputes will have to be gauged with the passage of time. WHAT ADVICE DO YOU WISH TO GIVE TO YOUNG LAW STUDENTS AND YOUNG LAWYERS, LOOKING FORWARD TO JOIN A CORPORATE LAW FIRM? Joining a corporate law firm as most of the readers would be aware, is a demanding but at the same time challenging as well. Coupled with this, it also entails the pre-requisite of keeping continuously abreast with current laws, possessing good negotiation, drafting skills and analytical skills and working well in a team. Other equally important aspects are effective communication and inter-personal skills which are critical in team and client interaction as also during negotiation of agreements. If you love the work you do and put all your efforts into what you do at your work place whole-heartedly, then this is what will make the entire journey an enjoyable, enriching and successful experience.